Who Is Greater Purpose Entertainment? 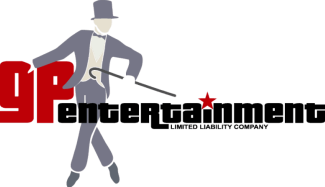 Greater Purpose Entertainment , was established in 2004 to staff and provide professional entertainment to families and businesses. Since our growth, our company offers top-notch DJ's, Emcees, Dancers and other high standard entertainment services. Our quality of service is unmatched, due to the experience of our staff. We have serviced top music artists such as Usher and JaySean. Our professional expertise and acquired knowledge makes us who we are! To request a quote, click HERE and complete form. A professional planner will review your request and contact you promptly. Please take a few minutes to review our policies below. Please don't hesitate to ask questions. We are here to service you! For all services, we require a 50% deposit. We accept cash, corporate checks, money orders, certified and personal checks. Final payments are required prior to any event. No Exceptions. If Final Payment is not provided, we reserve the right to forfeit any deposits. Tipping is appreciated when our service meets your expectations, but it is always left to your discretion. Prices and packages on this web site are subject to change without notice. All packages will be reviewed with you prior to any deposits.